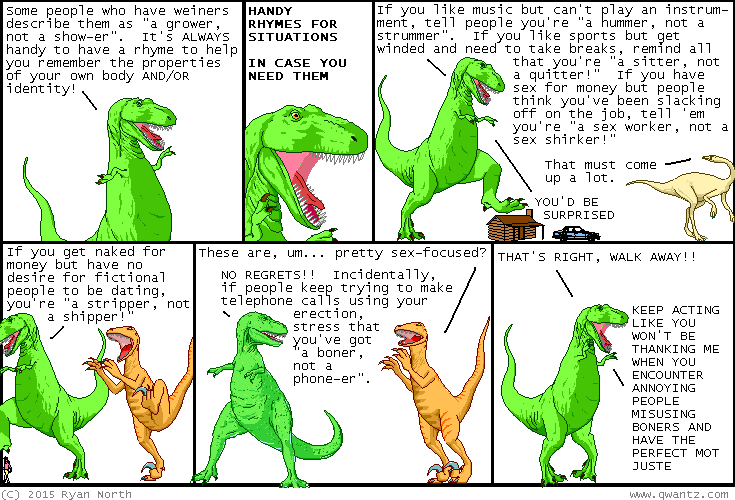 Dinosaur Comics - February 10th, 2015 - awesome fun times! –Their combination house/fort is called the Space-Time Continuum, obviously!! February 10th, 2015: Hey did you know there's a COMPUTER GAME version of To Be or Not To Be? It's true! And it's out... RIGHT NOW?? One year ago today: did you know if you google "horse facts" you will find websites devoted entirely to facts about horses?? what kind of person would dream about, then build, then maintain such a site?? signed, the guy with the site about talking dinosaurs.